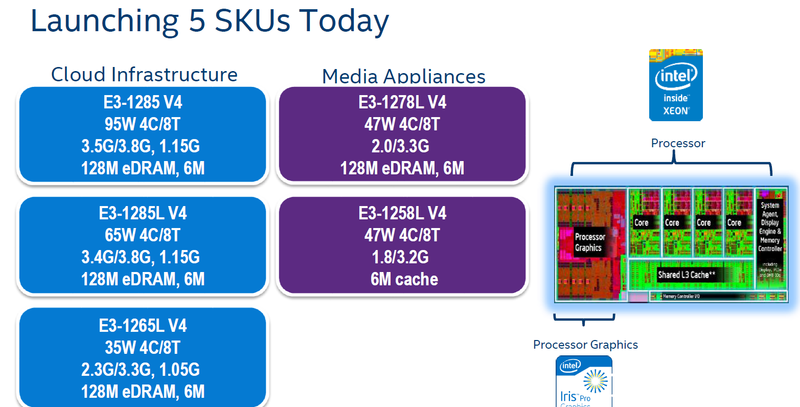 The Xeon E3's all have the graphics lithography on-die, it's just deactivated. For example, the die of the E3-1230v3 is identical to a i7-4770. The i7-4770(k) has an enabled IGP and overclocking support. I bought the 1230 v3 in 2013 hoping games would get better at multithreading thanks to new consoles. That has not happened yet, but it still might with DX12. Same reason why I got a 3930K. Thankfully at 4.8ghz it will still give Haswell-E a run for it's money. The 6 cores/12 threads seemed like a good idea at the time for longevity, my Q6600 is still running games today despite multiple people recommending against picking up that chip due to the lack of software/games that could use those cores. 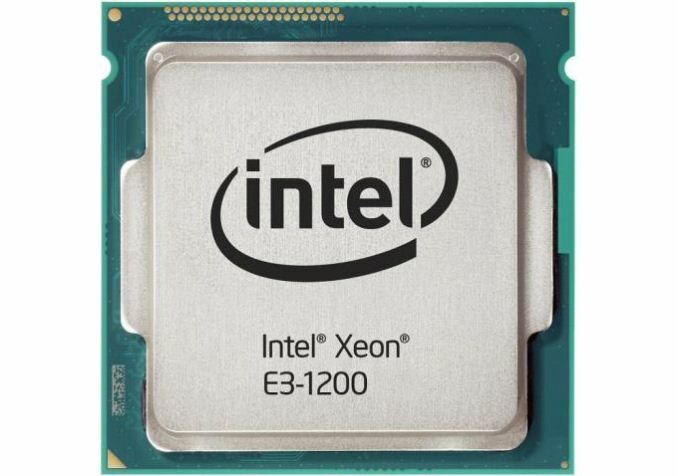 I have a haswell E3, and I bought it for a small home server. How is the E3-1285 v4 in any way better than the E3-1285L v4? The latter costs less, has a higher base frequency, and a lower TDP. Or am I missing something?